Starrett's line of entry-level computer-based force testing solutions have a range of applications including load limit and distance testing, as well as break limit, time average, cyclic count and duration testing. ATHOL, Mass.—L.S. Starrett Co. introduced a line of entry-level computer-based force testing solutions. The solutions are meant for applications ranging from load limit and distance testing to break limit, time average, cyclic count and duration testing, constant hold and more, according to a Starrett release. The L1 system is designed for reliable, fast, repeatable and easy operation, Starrett said. 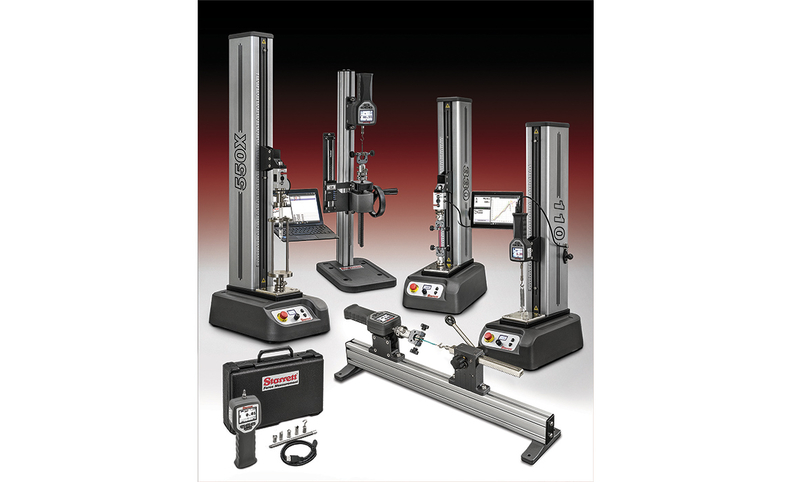 The Starrett L1 line consists of systems for computer controlled force measurement, digital force gages, Starrett FMM digital force tester motorized test stands, manual test stands and load cell sensors. Six models are available in standard and extended travels with testing capabilities of 110, 330 and 550 pounds of force. The systems feature a small footprint and fill-in-the-blank templates, which allow users create, perform, measure and analyze their test. It also allows users to perform limit testing, break testing, constant hold testing, cycle testing and more, Starrett said. The system includes touch screen controls and a high-resolution display showing results in tabular and graphical formats. Tolerances can be applied for immediate pass/fail indication. Raw data and results can be exported to Excel for reporting and statistical analysis. Starrett also claims that load measurement accuracy is better than 0.1 percent while distance position accuracy is better than 20 microns. The Starrett Series DFC and DFG digital force gages are designed for use as a fast, convenient, affordable handheld testing solution for basic applications. 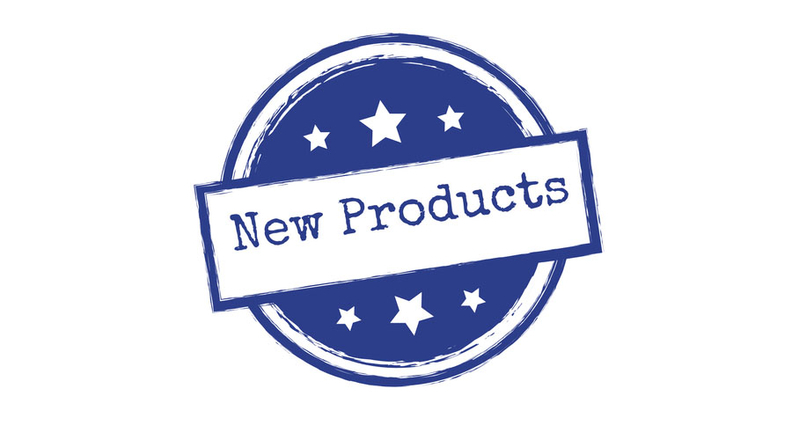 It also can be used via the DFC gage as a force sensor and controller when used with the FMM series of motorized stands or the MTL and MTH manual stands. As a controller on the FMM series digital test stand, the DFC serves as the user interface where users can setup load limit testing, distance limit testing and break testing. The DFC controls the FMM tester's speed, travel distance and direction. The DFC displays both force and distance results, and features Bluetooth, USB and RS-232 for interfacing to external devices including computers, printers and networks. The DFC series is available in eight load capacities from 2-550 lbf. All models have a measurement resolution of 10,000:1. Three new manual testers also are available in the Starrett L1 line: MTL-110 (110 lbf), MTL-330 (330 lbf) and the MTH-550 (550 lbf). The testers are ideal for applications where occasional testing is performed or where an economical solution is preferred, Starrett said. Combined with a DFC or DFG force gage, the user has a solution that delivers accurate results for tensile or compressive testing. Starrett manual testers can be used vertically or horizontally. Options include a digital scale for precise distance/height measurements. Starrett BLC load cell sensors are full-bridge, temperature compensated strain gage instruments designed and optimized for basic force testing applications. These S-beam sensors feature high axial stiffness and minimal deflection at full capacity, which leads to improved measurement accuracy, Starrett said. Starrett also offers a range of solutions via the L2, S2, L2 Plus and L3 Systems. The Starrett L1 Force Measurement line is manufactured in the U.S., and is available to order in several configurations including FMM Series digital force testers in three standard travel and three extended travel versions, 14 digital force gages including eight DFC advanced force controllers and six DFG basic force controllers, eight load cell sensors in the Series BLC and three manually operated force testers including two models in the Series MTL and model in the Series MTH. Product demonstration videos and additional information is available at starrett.com/force.